Did you know that 1% of the adult population stammers? That translates to more than 4,000 people across the Civil Service who have difficulties speaking fluently or feel the need to hide their stammer. Saturday 22 October was International Stammering Awareness Day, an annual event designed to help stammering associations, individuals and groups around the world to mark the day and to raise awareness of stammering. A group of civil servants have come together to form the Civil Service Stammering Network to create a safe space for civil servants of all grades and from all departments to share experiences and campaign for awareness and support. This group is open to people who stammer, those who have family members who stammer and those who want to be allies and support their colleagues. I live in this weird parallel universe where saying good morning can sometimes be harder than giving a 20-minute talk to an audience of 100. Many of my colleagues have no idea how much time I take up keeping my fluency and hiding my stammer. Sometimes I just keep quiet in meetings because I'm just too tired to talk. Because I stammer, my vocabulary is quite extensive, as I have to think to myself which words describe a situation, how many different words for that situation do I know, how difficult to say is each word, what sound does each word have and how will that word sound after the preceding word – ‘n’ words are quite easy to say after the ‘s’ sound, but not after the ‘b’ sound – all in the blink of an eye during a conversation. I work in the Digital Directorate at the Department for Business, Energy and Industrial Strategy (BEIS) and provide the admin for the Facebook group. So, if you’d like to join, just send a request on Facebook or email me directly. It is a closed group, so those outside the group (including Facebook friends) cannot see your posts. 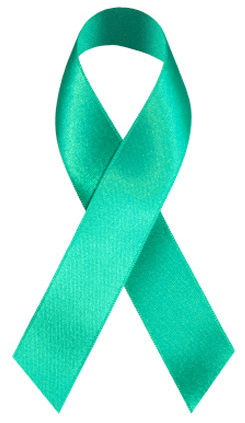 wear sea green to show your support and start a conversation about stammering. If you’d like to learn more about how you can support colleagues who stammer, or if you’d like more information about the Civil Service Stammering Network or the support on offer to civil servants, please contact me. Betony - brilliant; this is really valuable post which challenges the 'Conspiracy of silence' that very often surrounds this condition. As someone who has also stammered since childhood, it is really encouraging to see colleagues from across the wider Civil Service describing their experience - in ways which sound uncannily familiar! It is also very confidence-inspiring to know that Philip Rutnam is fully supportive of this new network (among many others) as Disability Champion - thank you Philip! I had a relative who stammered. A condition he developed during active service in WW2. So i have grown up being aware of his condition and never thought twice about it, as i accepted it as being part of who he was. However i am pleased to see this distressing condition being addressed in the workplace. An issue close to my heart. Thanks for this post Betony. It's great to read about the network and good to have a contact for it. I'm in DH and also have a stammer. So if anybody in DH is reading this, and is interested in this issue and would like to share experiences, do get in touch! 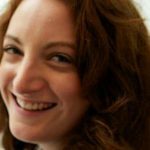 We'd love to have you in the Civil Service Stammering Network, Cathleen. We're always looking for people in all departments willing to share their experiences, raise awareness and help others understand how to support colleagues who stammer. I have a stammer, and this stammer affects me every day to varying degrees. I'd like to say I've not let this hold me back, but I'd be lying. I'm more resilient now I'm older and now, in my forties, I'm much less bothered by how people react. Some experiences I've had over the years include being hung up on numerous times, laughed at, told to spit it out, and generally patronised - It can wear you down at times, but I like to reflect on it and I think it's helped make me stronger and has added to my resilience. Having children has helped, I read daily to my 2 daughters; my youngest is a developing reader (5) and my eldest (7) has a real love of books and is a bit of a bookworm. I think that a lot of their love of books comes from us reading together daily for 30 minutes or so at bedtime. As much as I struggle to read sometimes, especially when tired, I'll be very sad if/when they grow out of this. 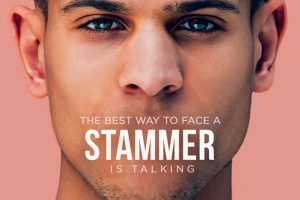 Thanks for keeping the profile of stammerers high, most people seem more aware of stammering these days and there are more stammerers on television, which helps too. I don't want to take anything away from this group as this is a really good idea and I suffered from a mild stammer when I was younger so know full well the prejudice that comes along with it, but maybe you could include anyone that suffers from word retrieval issues. My partner suffers from severe dyslexia and part of it is to do with her speech. It would be nice if people wouldn't laugh or mock, when she comes up with a wrong word that sounds similar but is totally wrong. Grammar Nazis can't help themselves. It means she doesn't speak up in meetings and will never willingly put herself in a position where she has to speak to big groups and if put in that position her anxiety spikes. Everyone deserves the right to be listened to in a respectful manner and I'm really sorry to hear that your partner hasn't always found the kindness and understanding she deserves. We are missing out on the contribution of so many experienced and talented colleagues, if we make it hard for people to contribute orally in meetings or groups. It's my personal opinion, but I believe that if we foster inclusive communication approaches in teams, whether you have a stammer or simply find speaking difficult, we can uncover a wealth of good ideas and interesting views. Well, I am not totally sure of my observation here, but I’ll venture it anyway: I see those who stammer as being in a constant state of performing “checks and balances” on their own thinking and speaking. That is, “equilibrating”. So when I hear a stammerer, I really start listening! Yesim, your comment really resonated with me, especially the point about having to introduce yourself in a workshop or meeting. I used to stammer mildly in childhood. Today, it is having to say my name and what I do in front of everyone which always throws me. I can feel my heart beating faster as it gets to my turn, and that dread feeling that I'm not going to be able to say my first name and surname fluently and everyone will look at me. When of course, when I don't get it right, no one apart from me even seems to notice. Betony, thank you for this article, and for highlighting this important issue so widely. I have also been a person who stammers since childhood and struggle most days, like all those commenting so far, few people would know or realize, that when they say 'get it out', it is more of an issue then they know. My stammer has become less pronounced through the years, as I keep up the tips learnt during 5 years of speech therapy in high school, but my worst time for stammering then and now is on the phone, especially having to leave messages. Now with the move to less travel and more teleconferences, I am finding my contribution at many meetings slowly decreasing as I find it hard to be quick enough to contribute where I can and end up being impolite and cutting people off. Something I really don't like doing. I have found all your comments above very heartening to know that we all seem to experience the same and we all get through it. Right from those dreaded certain words to the 'introduce yourself' at workshops. I think everyone with a stammer shares your dread of the phone, Charene! I used to unplug my desk phone when my speech was particularly bad, so people would call my mobile and I could take the call away from everyone else. I'd really recommend having a chat with your line manager to help explain some of the coping strategies you use, so that they can be more understanding at some of the ones that could come across as 'impolite', as you put it. Do contact if the Civil Service Stammering Network, if you'd like us to help. Thank you for an interesting blog. I have to say that I worked with someone who had a stammer and we talk about the Open all hours and the character played by late Ronnie Barker. My colleague not only thought that the character was funny but that it also drew public attention to the issue. 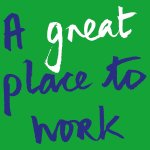 For me, the fact that my colleague had a stammer did not affect his ability to carry out his duties effectively and my behaviour towards him was the same as his peers. It is disappointing to hear of colleagues who experience BHD but unfortunately, there are a few small minded people out there who behaviour in such a manner because they are unable to understand why it is unacceptable! Congratulations to all of the above for their bravery in admitting that they have a "disability", that is often over looked as a disability. No one would mock someone who was blind or in a wheelchair, so why mock someone with a speech impediment? Just remember you are not alone and that lots of famous people have suffered with speech difficulties, most people know about King George VI and Winston Churchill, as a child I remember watching "Call my Bluff" and the Captain of one of the teams had a speech impediment. I have a 15 year old daughter who has a stammer and have witnessed her heartbreak at being ignored and talked over and she does have low self-esteem. I can't begin to count the number of times she has said 'no-one listens to me' and that must be a terrible feeling. Anything like this network that supports people who stammer and makes others think about how they behave, is a brilliant thing. I have had lots of therapy and my stammer comes and goes ,and is now fairly mild. What helps me most, I think, is to say to people initially 'sometimes I stammer', and then neither of us is embarrassed. And yes, the terror in the past of having to introduce oneself round the group!